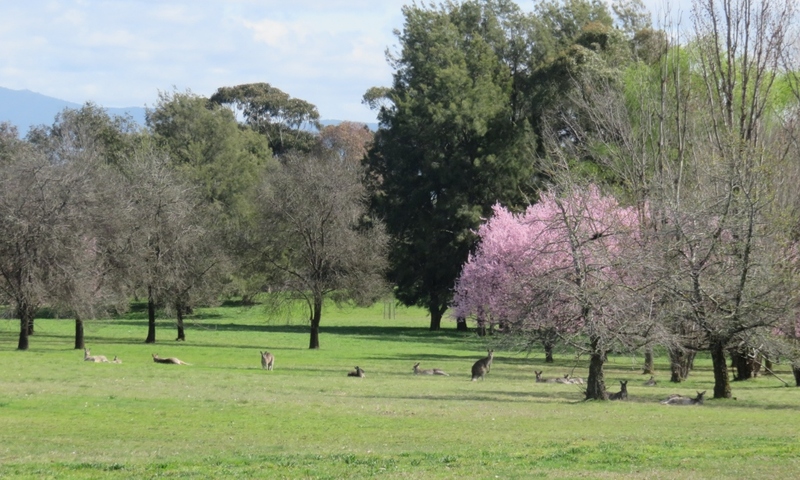 Yarralumla in spring; blossoms, birds and kangaroos…. Can the centre of government be fifteen minutes walk away from this bay? I often think our grandchildren will hardly be able to comprehend this innocent time when Parliament House is surrounded by quiet suburbs like Yarralumla, where people walk dogs, ride bikes, and play golf. 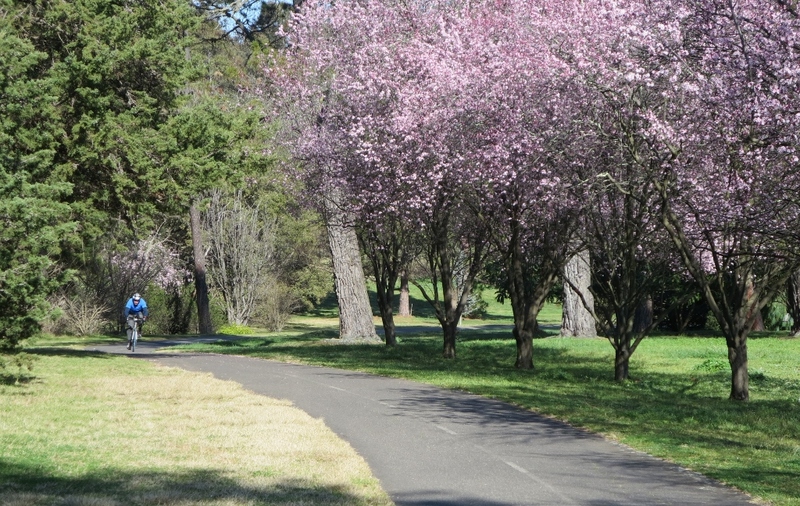 Yarralumla is named after the Indigenous people’s term for the area, and means ”echo”. 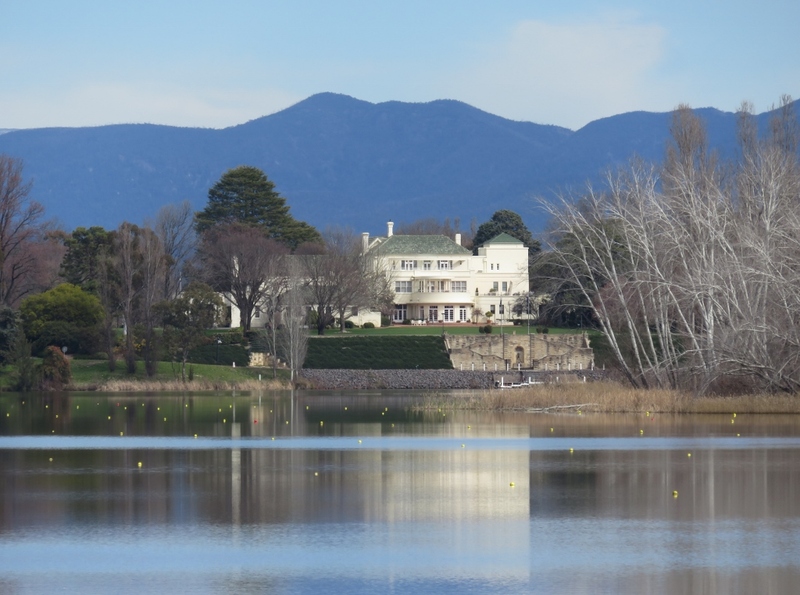 Yarralumla has lovely walking tracks with views of the Governor General’s residence. This is a working property where heads of state, and royalty visit, and many events are hosted during the year. 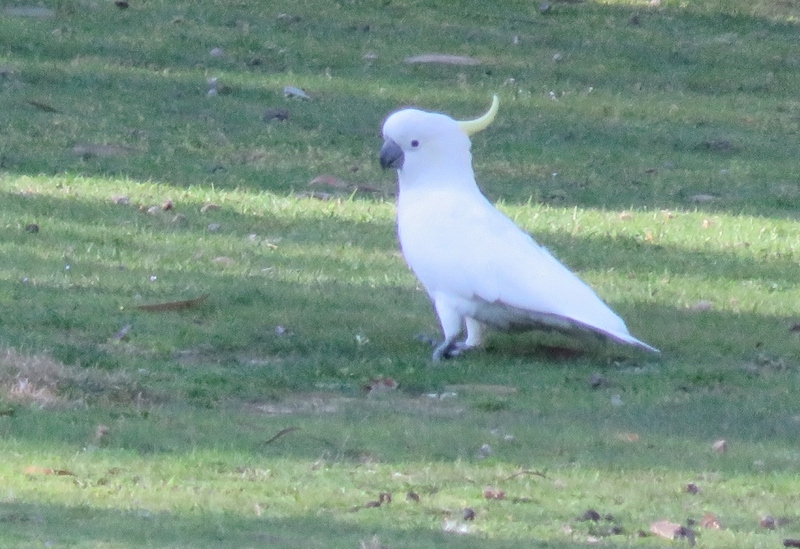 Despite the grandeur, one of the challenges of the Governor General’s House and garden is the ongoing problem of the resident cockatoos and kangaroos…. These kangaroos are having a charmed life near the entrance to the Governor General’s House with all the lush greenery around …meanwhile a strange sounding hooter is attempting to frighten away the cockatoos from the main gardens….although I imagine it would take more than a hooter to frighten a determined cockatoo. Walter Burley Griffin, the talented architect from Chicago who designed this garden city, could not have imagined that kangaroos and cockatoos could be such a problem in the future! 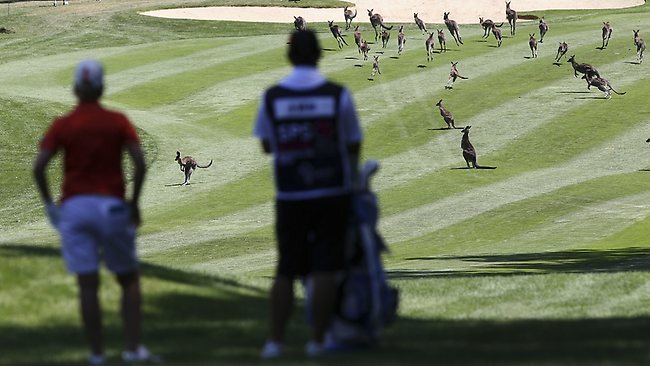 In 2013 golfer Karrie Webb waits for the kangaroos to clear the fairway during the Australian Open…. I believe someone kindly lifted some fencing for this mob to jump out of the limelight! Amongst the great variety of trees we saw many birds feeding.. The adults are watching over them from above…. Crimson rosellas feasting on spring flowers..
…..and to end a lovely day’s walk.. here is a view of Telstra Tower on Black Mountain.. 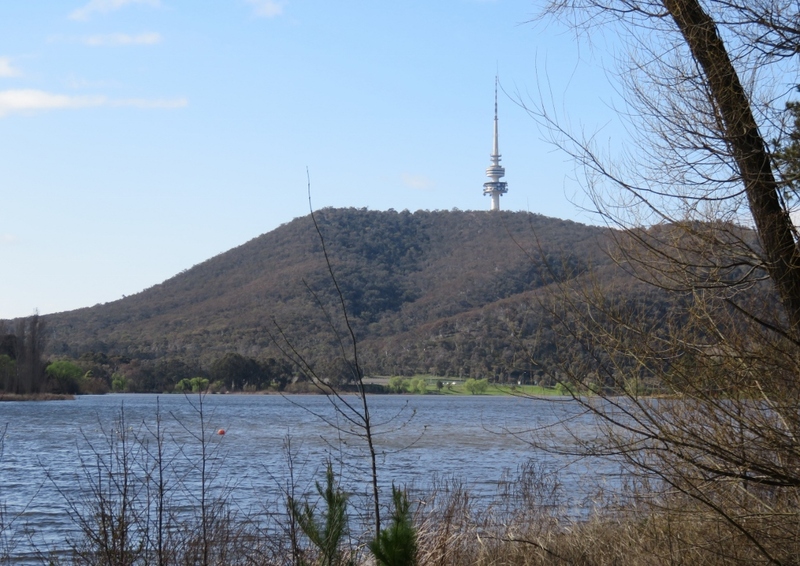 This tower is disliked by many, but for me…and I know for others, when we are travelling back to Canberra after a long car trip…the sight of the Telstra Tower silhouetted against the sky means we are nearly home..
and there is no place like home…. I hope this is true for you too. This entry was posted in Canberra's Public Gardens, My Place, Wildlife in the suburbs and tagged Australian King Parrots, Australian Open Golf Championship, Black Mountain, Brindabella Mountains, cockatoos, crimson rosellas, government, Governor General's House, Heritage Nursery, kangaroos, spring flowers, Telstra Tower, Yarralumla on September 12, 2016 by germac4. How beautiful and amazing that the Governor can live in such public place; I don’t think you would get so close to Chequers in England, but maybe there is more security than is visible – all the better for that. Yes, I love the Governor General’s House on the lake, glad you liked it. Security, in all public places has really escalated in recent times here too. What is that tower about? Telecommunications? I imagine the leavings of those roos on the golf course are many and unpleasant. Are roo populations controlled? I sympathise, heat & humidity are dreadful…impossible to do anything. Yes, Telstra Tower is a Telecommunications. There are a variety of programs to try to control kangaroo population in Canberra, with varied success. Also huge new fences along some expressways to keep the kangaroos off roads. Hope you get some lovely autumn weather soon. Has your little bird survived? Such colourful birds, Gerrie. What a beautiful place to go walking, and such gorgeous spring blossoms I’m sure those cockatoos are laughing three bags full about the hooter. 😀 What a funny thing to have all those kangaroos interrupting the golf! Yes, it is a gorgeous walking spot. 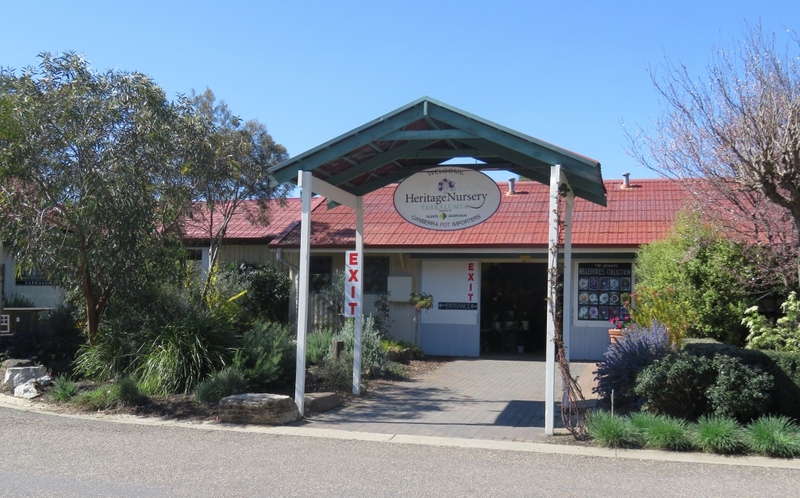 I agree re the cockatoos….they would be hooting with laughter! I know the birds can be a challenge, but they sure do make people from other parts of the world break out into a smile. They are so beautiful and colorful – WOW. Thanks Judy. I think Canberrans love the birdlife, and I’m glad they gave you a smile! Makes my day too. Enjoying your and our green spaces. While watching a heated battle for the Tokai pine plantation. Shady alien pines versus fynbos rehab. Oh dear, hope all goes well on that battle! Thanks Sarah, I’m glad to be able to show that Canberra is more than just the seat of government. I’ve been enjoying your posts too. Thanks Bec … I love that view of the G.G.’s house. I hope all the leafy parts stay too! Canberra looks beautiful in the spring. It truly is a garden city. Thanks Ruth, sadly there is a big push to build units everywhere, and not very well planned for a garden city. It’s looking gloriously springlike there, I’m envious! Yes… Spring is finally here! What a gorgeous place. Are those cherry trees in bloom? 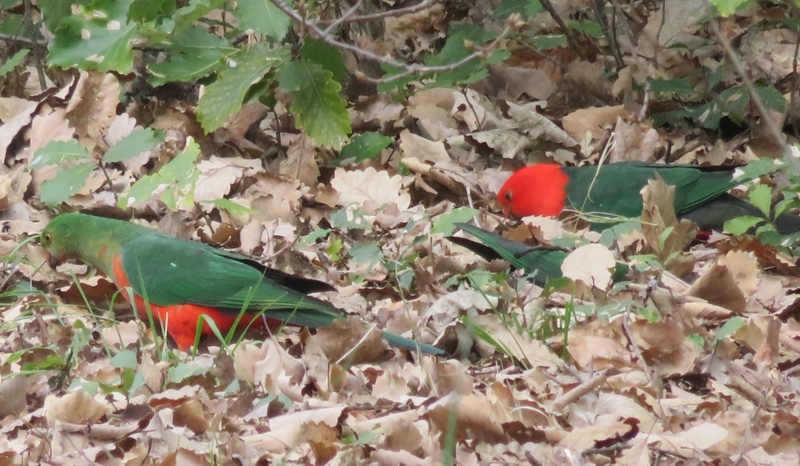 And those King Parrots – magnificent color! 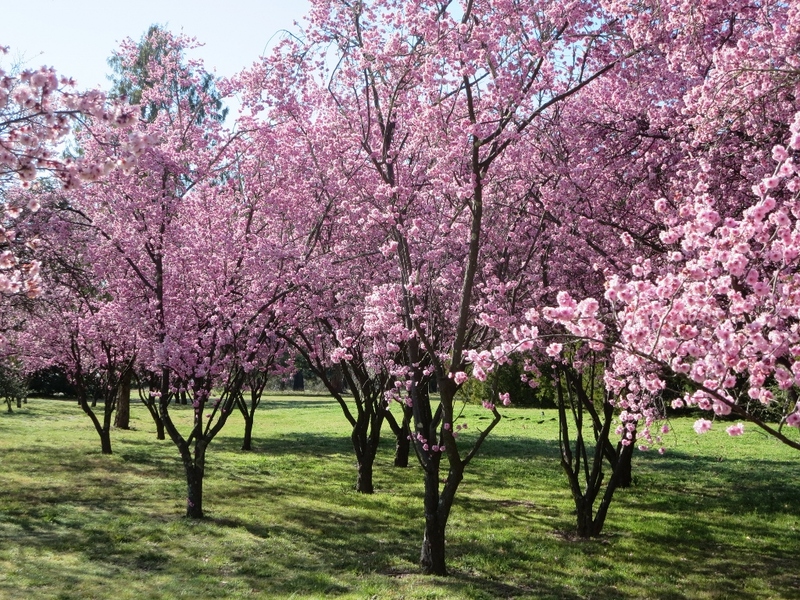 The blossom trees are plums… Always a lovely start to spring..
Those photos are amazing. I especially love the photos with the kangaroos. I recall you mentioning building a fence to keep the animals out. However, wouldnt building a fence be pointless, because kangaroos jump so high? Thanks Vinny .. Glad you liked the photos. There are some very high fences along the highways around Canberra & they are too high for kangaroos to jump over. How lovely, getting to see your spring as we move into autumn. It’s a shame when a species begins to take over isn’t it, culls are such dreadful things. When we lived in Oz, kangaroos absolutely fascinated me, such beautiful creatures. Your birds always take my breath away, such fabulous colours. 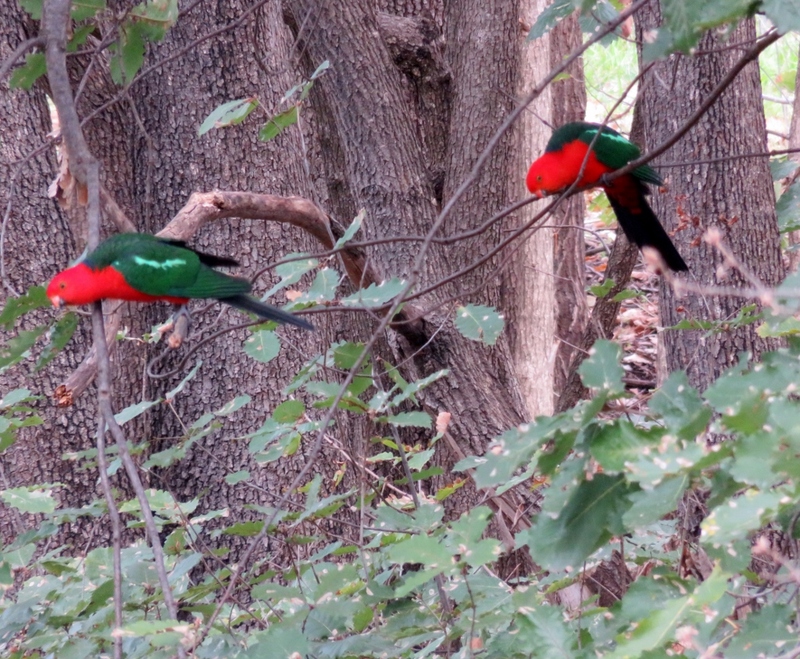 Thanks Dina, the Aussie birds are lovely that is for sure… and the kangaroos! I have shown a weakness for plants and chocolate this week, so I’m glad I’m off the hook.